You've heard of spiritual gifts like speaking in tongues, hands on healing, prophecy, and the like. Hopefully you have personally been working on honing your ability to see (clairvoyance), hear (clairaudience), or know (clairsentience) Divine will. It is so wonderful when all of a sudden a person recognizes a spiritual gift or two that they have received. It is a great source of joy and wonder. And, it can also be a great source of hardship. Every person is here evolving, learning, and growing at a pace determined by their own soul. When someone experiences what I will call a mystical moment ~ something out of the ordinary that they can only attribute to spiritual intervention ~ it changes things. I remember vividly when I started speaking in tongues and channeling at the age of 14. The moment that brought it on was extraordinary and unforgetable. It took me many moons to prepare myself to actually use the gifts properly. So often, peole are given a gift, and their little ego gets all fluffed up and they think that they suddenly have all the answers, have "arrived," and no longer need to work on themselves. When the truth is, all they have is a particular gift. They still have innumerable things to work on. The gift is wonderful. But it is not the end all of their spiritual journey. It is a tiny step along the way. In times of old, a person trained in the mystery schools for many years and with great discipline to heal their issues, to learn concentration, to hold their emotions steady and not react to circumstances, to raise their vibration and consciousness. It was very hard work and took extreme levels of dedication and commitment. Along the way they awakened many spiritual gifts. And by the time they were initiated, having completed their training and proved themselves through some sort of testing process, they could use those skills responsibly, with wisdom, and for the greater good. You cannot teach your gift to another. Gifts are received directly from the Divine. They are honed by humans, but the innate gift, the propensity to be a healer, a channel, a teacher, or something else, is born from within. You can pay tons of money to be trained in something, even be certified in it, but does that make you that particular thing? Reiki is a prime example in the area of hands on healing. Did you now that originally it was a teaching to achieve enlightenment and the physical healing taking place was just a side benefit? Reminds me of another teacher you might have heard of named Jesus. He was a teacher. According to some sources, healing became his way of gathering around people to listen to the message. Of course Reiki, and everything else, changed significantly when it was brought to the west. Can every person certified and trained as a Reiki Master perform the miracles of Usui, the man who invented it? Becausel Usui was dedicated to his spiritual journey, studied and practiced numerous traditions, and he was given a spiritual gift. 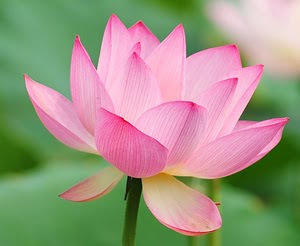 There are thousands of Reiki "masters" all over the globe. Many of them are teaching students using their own personal twist to the teaching. If you put 10 people in a class and give them all the same training, atune all of them, give them all a little certificate that says they have completed level I, II, master, or even higher, are they all hands on healers who should be hanging out a little shingle saying "come to me?" The answer to this question is of course, "No." A class and a piece of paper does not a healer make. Only 2% of the world's population has the knowledge, skills, and physical ability to be a true hands on healer. At least that is what has been revealed to me. Take 100 students of any healnig method and have each of them give a treatment. There will be a huge variation in the level of effectiveness and positive results measured across the group. Because some people can bring in so much energy its like turning on a fire hose and other people can only manage a trickle. Some people are born healers and regardless of what method they use, it will be very effective. And other people should find a different career. If you can't see or sense energy, you have no idea which one you are getting. If you haven't developed a heightened intuition that gives you clear direction about what you should and should not do to make improvements in your life, then some of what you "try" is simply a waste of money, while other things could actually be taking you off track. On the flip side, Reiki and other methods are a GREAT WAY for a person who has the predisposition to be a hands on healer to "wake up" to that fact. 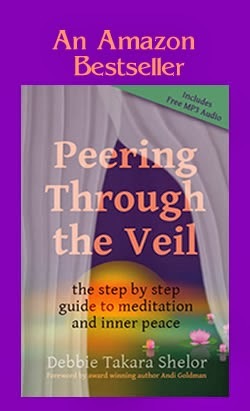 It is a lovely entry into the world of energy healing. And the person with the gift can use it as a doorway to begin opening up the channels and moving a little energy. They should then take it upon themselves to learn a great deal more about energy and to hone their intuitive skills so they can assist each person they work with in the perfect way for that individual. They can do physical exercises and work with other methods to open and keep their energy channels finely tuned. I am so blessed to have several dear friends who are true healers. Karen Schweitzer, Millie Stefani, Shikiah, and so many others have blessed me and the world with their gifts. Reiki was my doorway to working with energy. It might also be yours. 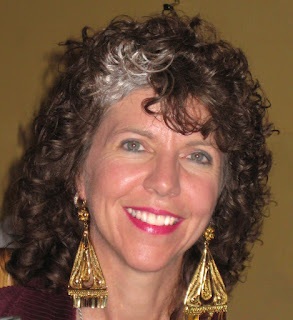 My teacher was a true, highly intuitive, hands on healer and she taught me many things. But after her teaching, my internal spirituall guidance system had me go down many other roads to learn significantly more about positive and negative energy, enlightenment, opening channels, and fine tuning my vessel for the work I am here to do. I remember the day that I had an inner knowing that I absolutely had to attend a particular holistic expo. There were these little Tibetan monks in their beautiful orange robes with the maroon sashes and all the copper and crystal gizmos they offered for healing. My internal knowing was that I was to have a session with one of them. As I sat there listening to some lovely music on the headphones the monk handed me, he started using one of those copper and crystal things around my body. He used it to open the chakras on the palms of my hands. They opened with so much force I literally cried with joy. I had been working with energy for many years prior to that experience. That is just one of numerous experiences where I was guided to be at a certain place at a certain time and was "tweaked," upgraded, and fine tuned. Previously I've shared about having to cancel a trip to swim with dolphins in Bimini so I could synchronistically meet up with Don from New Zealand so he could download energy for me for a couple of hours at Mt. Shasta. Don and I had never met ~ at least not in this lifetime. We just both knew we had to be in Mt. Shasta that weekend. The guy came all the way from freakin' New Zealand to be there because his guides indicated that he was being asked to do a mission there. It turned out that I was the mission. Don and I are still great friends. What a powerful conduit for energy he is and how blessed I am to experience such gifts from Spirit as having Don fly all the way from New Zealand to show up in my life. A spiritual gift is a spiritual gift. If a person was given a spiritual gift, they can not pass it along to others and have it be as strong and powerful as it was for the originator of the gift. I can not give you the ability to access and move energy using the Language of Light that I've been doing since I was 14. I can not give you or teach you the same ability to bring in energy that I have. I can not force your body to be a finely tuned instrument designed to bring in energy and information as mine is. So . . . I've done the next best thing. I've brought the energy in for you and infused it in little bottles of oil for you to use. Now you don't have to have the ability to bring it in yourself, or with the same frequency, precision, or force that I can. Now all you have to do is work with the energy in the bottle that I've already brought in. It's a beautiful system really. It works with anything you may need it for. Whether you are dealing with issues yourself, or you work with clients, or you teach classes, or any number of other instances, you can work with the energy I've pulled in any time you want or need to. I can not personally sit with each person who is seeking assistance. However, I can bring in energies and infuse them into a custom blend for you so that each time you use it, it is like having me sitting right there with you bringing in the energy for you. It's so much more efficient, and cost effective, to work with the energies in this manner. 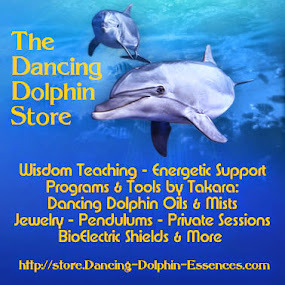 Dancing Dolphin Energy Products (oils, roll-ons, and mists) amplify, enhance, and assist to deeply anchor whatever you are already doing. It takes any modality further, faster, and deeper than it is by itself. P.S. It is always amazing to me what comes out on the keyboard when I sit down to create a newsletter.